A fresh PIL has been filed in the Supreme Court by NGO Swaraj Abhiyan and Ajit Anand Degwekar, a social activist from Chhattisgarh, against the Union of India, State of Chhattisgarh and Directorate of Aviation, Chhattisgarh. It alleges the Chhattisgarh Government of issuing a pre-decided tender inviting bid for the purchase of specific model of a specific brand of helicopter for VIP movement. The PIL stated the facts and details of the deal between the state authority and AgustaWestland and claims that through a spurious global tender, the deal has caused a huge loss to the state exchequer. The petition, filed through Advocate Prashant Bhushan alleged that the tender issued by the Chhattisgarh government was in complete violation of guidelines for procurement and purchase issued by the Central Vigilance Commission. It sought an independent investigation into the purchase of Agusta A109 helicopters by the state government. According to the petition, in December 2006, the Department of Civil Aviation of the state prepared a note acknowledging the need and of a new VIP helicopter and approving the purchase of the same through an open tender. However, within days, a meeting took place between representatives of OSS Ltd, which is supposedly a service provider of AgustaWestland helicopters, and the state government and thereafter, it made an offer to supply its helicopter for $6.3 million. However, in a communication few days later, it informed the state government that there would be a two-year wait if the helicopter was to be bought directly from AgustaWestland. Instead, it advised the state government to buy the helicopter from the company's Hong Kong-based dealer Sharp Ocean that will arrange a pre-sold helicopter to the government and it charged $6.3 million, including $2 million commission to Sharp Ocean, for the same. The petition called Sharp Ocean an objectionable dealer that has offices in tax-haven British Virgin Islands. 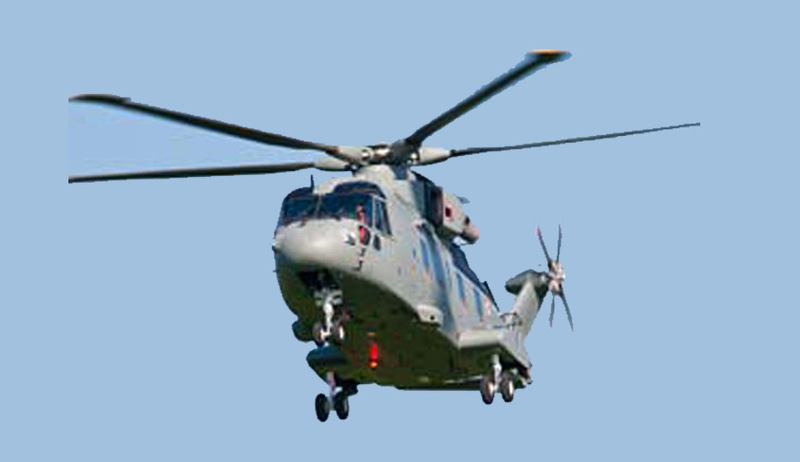 "The meeting, as referred to in the letter dated 02.01.2007, raises an important question as to how OSS, which is a service provider of Agusta, became privy to the confidential note of the Chhattisgarh Government about the requirement of a helicopter and also secured a meeting with the persons concerned within three days of the internal confidential report given by a technical committee," the petition stated. To take forward the deal, thereafter, a team at the state expense was sent to Hong Kong to negotiate the premium with Sharp Ocean and the government then approached OSS and asked them to supply the helicopter for Rs 24 crore. Not agreeing to which, the government issued a global tender for A109 power helicopter. The tender call was published in four newspapers and mentioned several features specific to the product. The petition called this tender the "most unusual and a sham because it called for a pre-specified product from a specific company to be purchased". The petition went on to add that all features, specifications, etc. mentioned in the tender were of no consequence because the company, model and configuration of the helicopter has been pre-decided. In response to this tender, there were only five bid received. Two of which were by companies that sent their own proposal despite the tender requirement of Agusta A109. And the three other companies were Agusta's Hong Kong-based dealer Sharp Ocean, Agusta's India-based maintenance service provider OSS and AgustaWestland itself. The government decided to purchase the helicopter from Sharp Ocean at $6.57 million, of which close to $5 million was the price payable to AgustaWestland and the rest was Sharp Ocean's commission. The pre-sold helicopter was pre-booked by Serum Institute, owned by industrialist Cyrus Poonawala, in 2006. "On 09.10.2007, general manager of Sharp Ocean and Mr. Krishnan of OSS arrived in Raipur to sign an agreement between Sharp Ocean and Chhattisgarh Government in the presence of the Chief Minister. The presence of OSS raises serious doubts about the veracity of the global tendering process since earlier OSS was a competitive bidder against Sharp Ocean and now it was acting as a facilitator in the signing of the contract and meets the Chief Minister," stated the petition.